Over 31,800 students experienced an SMG presentation in 2018. The presentations on offer range from interactive workshops, full school presentations, and live music shows. 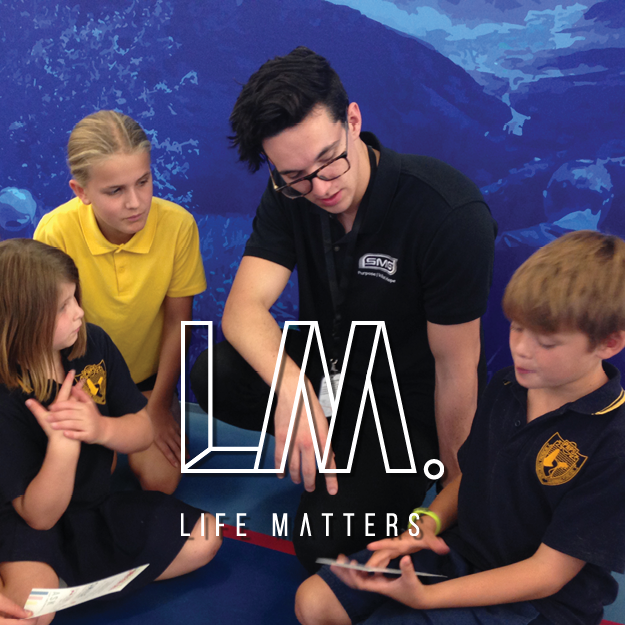 They can be booked with or without Christian content, and align with key aspects in the Australian Curriculum, allowing for easy connections in the classroom. Each team creates a space for young people to discover their story; to carefully think about the choices they make and the impact they can have on their friends, school, community and world. Who you are matters. How you feel about yourself, what you believe, how your beliefs shape your life, how you interact with people around you, how you navigate your way through life's challenges, it all matters. The band formed in 2014 and have been transferring hope to primary school students across South Australia ever since. Hope Downloaded deliver a valuable message, sharing with students the simple truth: you are important and your life matters. Sacred Stone has been turning high schools into live music venues since 1997. The band invite students to reimagine faith, identity and relationships.